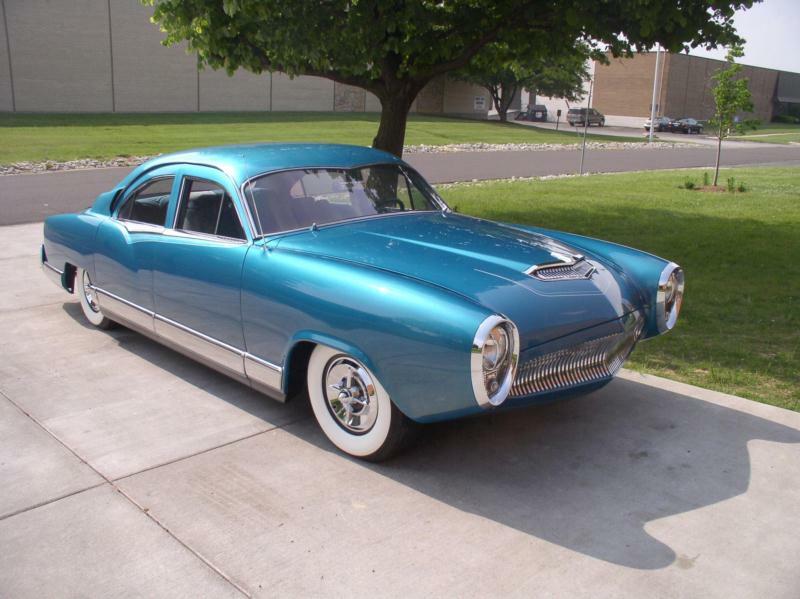 In 1951, Frazer debuted a new design that would continue until the company’s end of U.S. passenger car production in 1955. Designed by Howard “Dutch” Darrin, the cars were longer, lower, and swoopier. The top-of-the-line Manhattan cost just over $3,000, and fewer than 300 were produced in all. The Frazer Manhattan was available as either a four-door sedan or a four-door convertible and carried a look that was not shared with sister Kaiser models. The sedan resembled a convertible with the top up as it had minor creases at the B- and C-pillars, meant to evoke convertible top bows. A 226-cid, 115-hp, six-cylinder engine was used, and the motor was mated to a Hydra-Matic transmission for the first time. For 1952, the Manhattan name was shifted to the Kaiser nameplate, and the car received a markedly different exterior that was consistent with the rest of the brand. 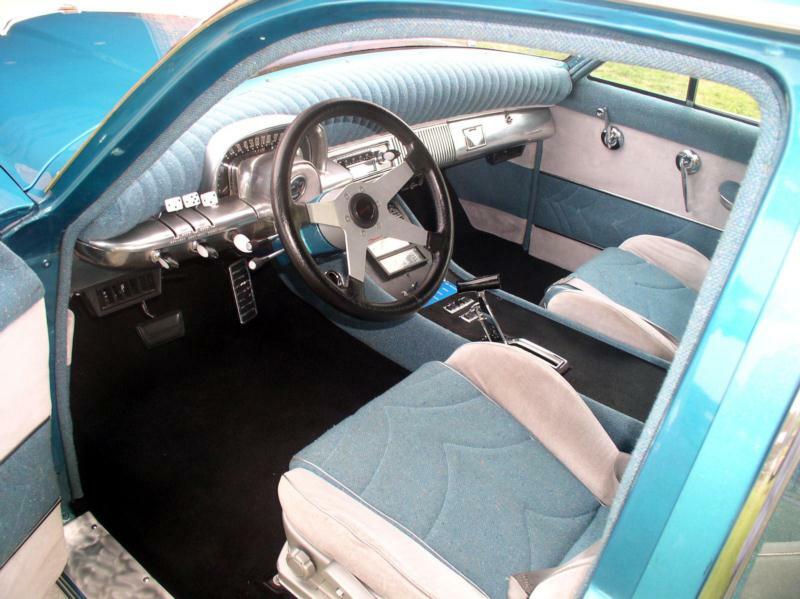 Most notably, a pronounced dip adorned the center of the windshield and rear glass, and the grille had a simple top bar that curved around the front fenders. 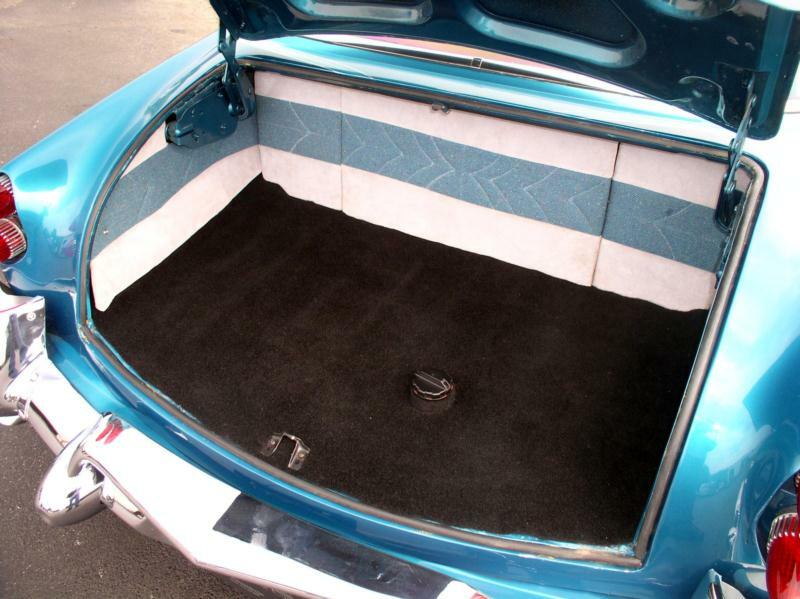 For this model year, body style choices were greatly revised, as the convertible model was removed, a club coupe and a two-door sedan were added, and Traveler configurations could be ordered. List prices dropped considerably, and production numbers were much higher. 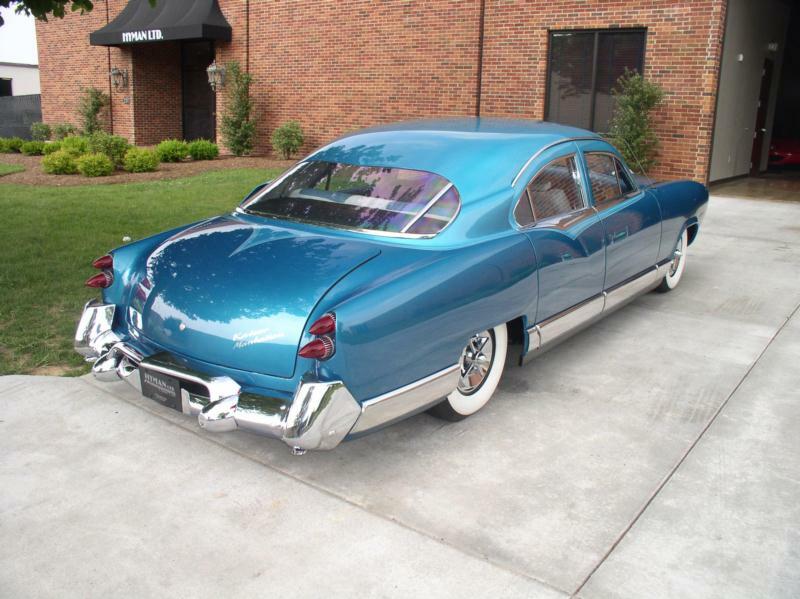 The 1953 model year was mostly the same, though the Manhattan could be ordered with “Bambu” interior, and body choices were limited to a two-door club sedan, and four-door sedan, and a Traveler sedan. For 1954, Darrin redesigned the Manhattan’s grille in a new “jet air-scoop” design, supposedly borrowed from the Buick XP-300 show car. 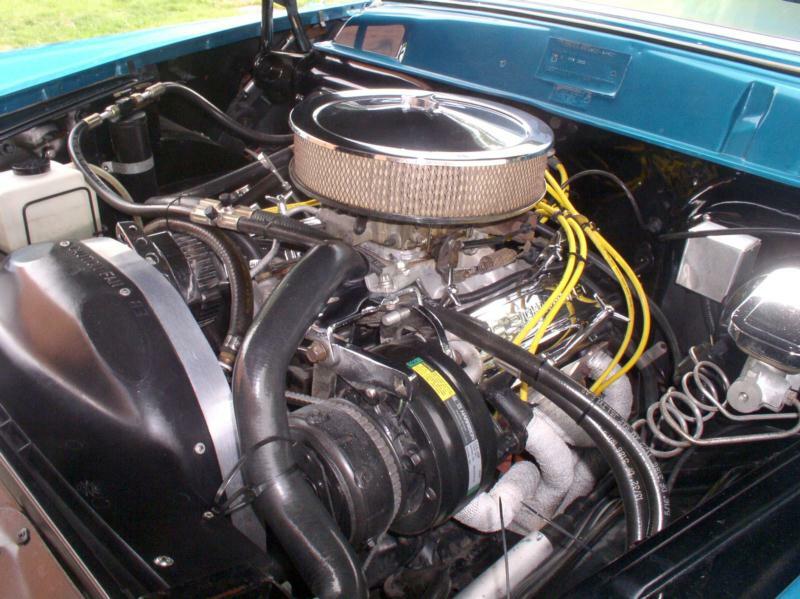 More importantly a McCulloch supercharger became standard on the Manhattan’s old flathead six, which boosted output to 140 hp. Even so, sales dropped to 4,325 Manhattans. By 1955, it was all over. Only 1,231 supercharged Manhattans were built that year, with 1,021 being sent to Argentina. The tooling was sent down to Buenos Aires and the Kaiser Manhattans continued to be sold in South America until 1962 as the Carabella. The Kaiser-Frazer Manhattan is a rare and eye-catching car today. When new they were fairly luxurious, and the supercharged cars in particular provided adequate power. The four-door convertible is an interesting body style, and the 1951 models are particularly handsome. The 1955 Manhattans sold in the U.S. are also quite collectible due to their rarity and performance. Locating a Manhattan in top condition is possibly the hardest part of owning one. Click here to read Hemmings Motor News' Buyers Guide for the 1952-1953 Kaiser Manhattan.